We offer customized packing . 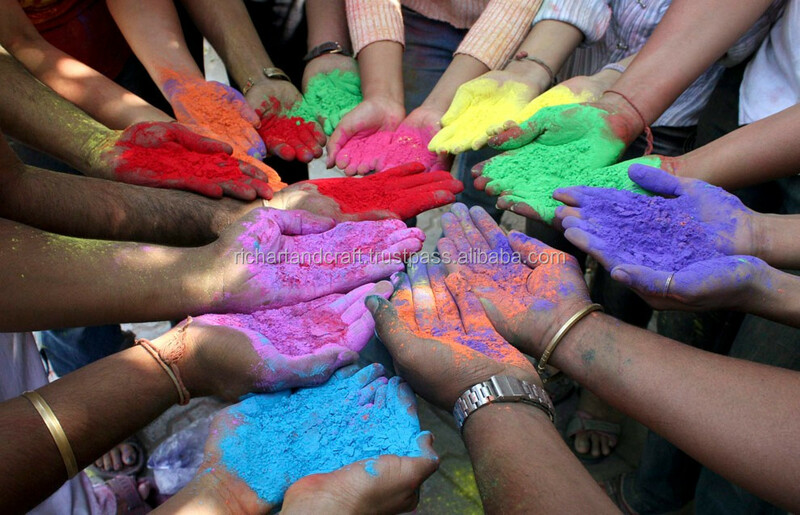 Our Gulal Holi Powder range is ideally utilized to append excitement and superiority at the time of playing holi with colours. These products are made by making use of finest quality corn starch and most modern technologies. 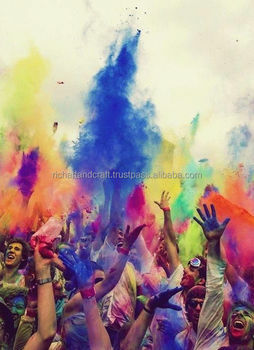 Our color range offers an exclusive playing experience as well safety to the skin and hair of the holi lovers. 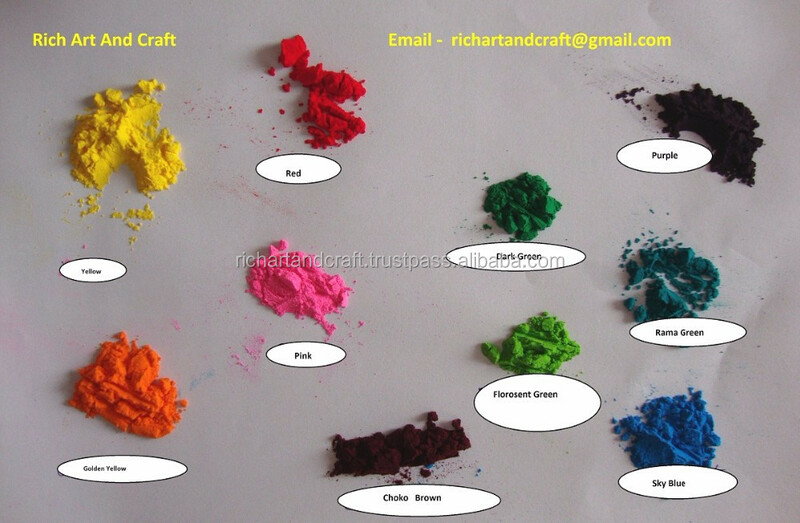 Our prudently processed product can be accessed by our clients in a variety of colours. Gulal is Free from heavy metal. Gulal is Easy to remove. We pack product in Polybag. Shipping servise available by Sea Cargo and Air Cargo. Rich Art And Craft is manufacturers and exporters of Indian handicrafts and Indian Product. We bring you a vast range of exclusive Indian Products. Our products reflect India’s rich cultural heritage and are honed through generations of family skill.